It’s a difficult time to be a dairy farmer in the UK. Milk prices are being squeezed, putting livelihoods at risk. But farmers are fighting back. Some are organising protests, others are harnessing alternative revenue streams, and many are looking to increase yields. In this guide, you’ll find plenty of helpful advice on boosting milk production — and therefore profits — on your dairy farm. The falling price of milk has left the UK dairy industry in turmoil, with many small and medium dairy farmers being forced to close their businesses. The predicament is driven by competing supermarkets trying to offer consumers the best price, to the point where some were selling milk cheaper than water. Compounding the problem are the dairy processors, who are paying the farmers less for their produce as they try to preserve their own income after price drops on their products as well. The problems in the dairy industry are not new. Over the past ten years, the price of milk has fallen at a steady rate, and the country has seen over half of its dairy farmers go out of business. This year has proven to be a crisis point, because prices are now so low that many farmers are earning less than it costs to maintain their cattle and produce the milk. With large-scale protests from the NFU, Farmers for Action, and dairy farmers, as well as a spike in mainstream press coverage, the outcry over the issue has reached a new level. With the issue very much at the forefront of the public’s attention, there has been increased pressure on the supermarkets to act, with many pledging to put in place a minimum price for milk. However, these prices are still low and barely cover the cost of production. It also remains to be seen if the dairy processors will share the extra income with dairy farmers. As with any task, planning ahead will provide a better foundation for success and give you a higher chance of meeting your targets. Having a plan for your herd will ensure that you have covered all of the angles in advance, and will also allow you to prepare for any potential risks. Sit down with your staff and come up with a 12-month plan for your herd, taking into account calving, nutrition, dry periods, and a herd health and welfare plan. Consider how well your calving seasons have gone in previous years. There might be a lot of positive aspects that you can carry forth, but you should concentrate on the things that you feel that you could improve upon in the forthcoming season. Plan the set-up of your calving shed well in advance of the season. Was the set-up in previous years as good as it could be? Could you make any changes, such as altering the layout or adding extra pens? What would make the process more efficient? Make sure you have the correct supplies in storage ahead of time. You should have a good supply of essential equipment and materials, such as tags and taggers, spare needles, electrolytes, and animal health products. Check and clean your calf feeders, repair any that are showing wear and tear, and replace any worn teats. Prepare a calving kit and appoint someone to keep it fully stocked. It should contain: lubricant, disposable obstetrical sleeves, non-irritant antiseptic, obstetrical chain, obstetrical handles, mechanical calf pullers, and injectable antibiotics. There are some simple items that should be included as well, such as paper towels and a torch with extra batteries. You should store all of the equipment in a container that everyone on the farm can access. Work out set processes to carry out calving tasks and make sure that all of your staff are aware of them. You should post instructions for each process in the area they are most likely to take place. Make sure they are clearly visible for easy reference. Compile a list of contacts and their phone numbers that can be called in case of emergency. Review your current feeding system. Is it as efficient as it could be? Are there any ways that you could minimise the amount of waste produced? Work out the energy requirements for all of your dairy cows for the forthcoming year: being aware of their needs will help you to work out a suitable feeding plan. Work out your current feed efficiency. Having a more efficient feed will help you to save money by providing the essential nutrients for your cows at a lower cost. Make sure you are aware of the nutritional content of your grass, silage, forages and bought-in feeds. Be vigilant when monitoring the performance of your cattle as any problems may be directly linked to their feeding regime. Monitor vital statistics such as milk records, weight, body condition score, and blood profiles for an accurate picture of stock progress. Look for ways to save money, such as increasing the use of grazed grass and home-grown feeds, and using bought-in feeds as efficiently as possible. You will need to collect three pieces of information to plan a successful dry period: milk production, body condition score, and calving dates. Recording your cows’ milk information will allow you to identify the cows with somatic cell count (SCC) that will need an extended dry period and additional treatments. Establishing the body condition score (BCS) of your cows will help you to ascertain which cows are in the right condition to enter their pre-calving dry period. A score of 2.5–3 is ideal for the dry period. Knowing your cows’ calving due date is essential to working out when to begin their dry period. As cows gestate for around nine months, you can work out when this will be from the date that they were inseminated. You can also scan your cows to ensure that everything is moving on schedule. Put together your dry period plan. Each cow will need a minimum of 60 days, with extra allowance for cows with high SCC or low BCS. Include provision for treatment of parasites such as liver fluke, worms, lice, and rumen fluke. Consult with your vet and put together a vaccination schedule for the dry period. As the owner of your dairy herd, you have the most significant influence over the health and welfare of your cows. You should draw up a written health and welfare plan with your herd’s vet and any other technical advisors. You should review and update this plan every year to ensure you are prepared for any new or emerging diseases or health hazards. The plan should set out health and husbandry activities that cover the whole year’s cycle of production and should include provisions for the prevention, treatment and limitation of existing disease problems. The plan should also include provision to keep livestock records that will enable you to accurately monitor and assess the herd’s health and welfare. If you are planning to open a new dairy business, or are looking to make changes to your current herd for optimum milk production, then choosing the right breed of dairy cow is very important. There are a number of factors to consider, such as how much milk you want, the breed of cow you can afford to keep, what your budget is, and what breeds are available in your area. How much milk are you looking to produce? You might think that the answer to this question would be ‘as much as possible’, but there is not much point investing in high-yield cows if you do not have the space or infrastructure to handle the amount of milk produced. Before you make a decision on the breed of cow, evaluate your resources and estimate how much milk you could realistically process. Consider how much storage space you have and whether you will risk becoming overstocked. Will you be able to commence selling your product straight away to immediately clear some space? 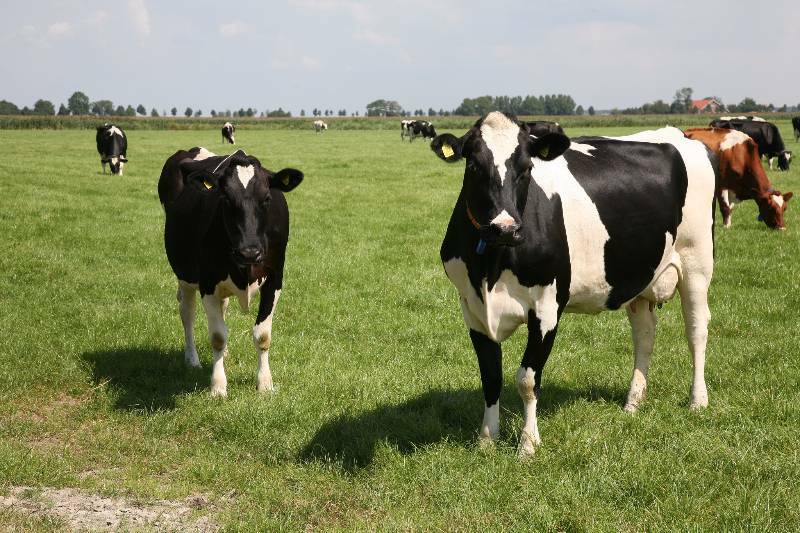 Holstein Friesian cows are the most productive cows for milk, producing up to 45 litres a day. Consequently, they are the world’s most commonly kept cow. If you are looking to produce a lot of milk, this is the breed you should opt for. However, Holsteins are not without their drawbacks. They actually make poor foragers, and unless you have excellent pastures, the quality of the milk you will get from your Holsteins will be below par. What breed of cow can you afford to keep? Obviously, different breeds of cow are different sizes. The larger the breed of cow, the more space you will need to keep them in and the more feed you will have to provide for them. 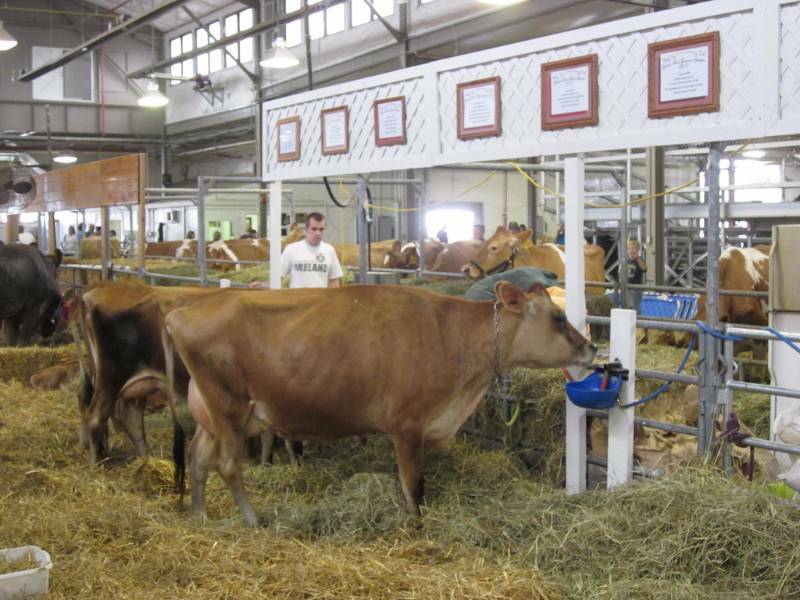 The amount of space required for larger breeds does not just apply to fields, but also to calving and milking sheds. This is something you should think about in advance, as extra work may have to be carried out on your facilities if you do not have the space for a larger breed. Larger breeds also require more feed than medium and small breeds, so there will be an additional cost incurred for feed and water. Holstein Friesian cows are the largest breed of cow, and will require the most feed and space. Other breeds range in size and feed requirement. 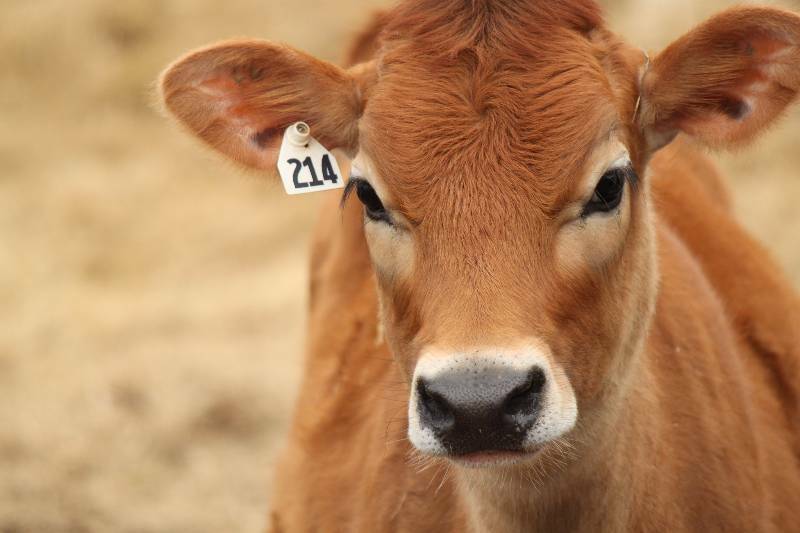 The smallest and most economical breed is the Jersey cow, which may be the best option for a dairy farm with limited space and a low feed budget. They also have a milk yield of 18–20 litres a day that offers more than some breeds that are larger and less economical. Other larger but relatively economical breeds include Guernsey (20–25 litres a day) and Ayrshire cows (22–30 litres a day). A similar concern to the previous consideration, your budget will be a limiting factor as to which breed you can afford and how many cows will be in your herd. Before you select a breed, you should assess your finances, agree on a budget, and stick to it. Cows that have been culled from other dairies will be cheaper, but may be more prone to health conditions, mastitis, or breeding problems. These are all issues that will affect the capability of your herd to produce the larger quantities of milk that you are targeting. If you are establishing a new dairy farm, it is advisable to avoid these cull animals. This is perhaps the most important factor to consider when trying to increase the yield from your herd. The quality of the nutrients they are able to take in through eating will reflect the quality and quantity of the milk they produce, as well as the overall health of the cow. There are several main requirements for the production of high-quality milk in cows: energy, protein, minerals, and water. Roughages like grass and hay provide the cellulose needed for energy, but lack the protein content required for a lactating dairy cow. For this protein boost, cows are provided with legumes, fodder trees, premixed feeds, or industrial by-products. To ensure a sufficient intake of nutrients for both wellbeing and milk production, most dairy cows are given daily rations that control the amount of food that they eat. Cattle rations are a blend of all of the essential foodstuffs cows need, and the mixture is created with general health and lactation in mind. There are various options available to you when it comes to providing your herd with the ideal ration. You can save money in the long-run by opting for a blend that makes use of home-grown ingredients, but your ability to take advantage of these self-made rations will depend on your level of nutritional expertise, the crop growing potential of your farm, and the timescale required before you need to feed your cattle. Many farmers who are limited by one or more of these factors can opt for a mix of home-grown and bought-in produce to create their rations, an option that, while not as cost-effective as a wholly home-grown ration, still offers the potential to cut costs of entirely bought-in feeds. With the industry crisis and income at an all-time low for many dairy farmers, the prospect of saving money on feed by growing and mixing your own can be very appealing. If you wish to choose this option, make sure that you have sufficient knowledge to succeed in the task. If you are new to the process, research the subject to ensure your cattle will benefit from your feed. Following the advice in the food and nutrition planning section of this guide will make sure that you understand the nutritional needs of your herd. The dry period is the most important stage of your cow’s lactation cycle. This is the period where your herd will prepare for lactation in advance of the calving season, and any problems during this key phase will negatively affect their health and milk production. Mastitis is an inflammation reaction in a cow’s udder and it is most prevalent during the dry season, with 60% of cases originating during this time, according to studies carried out by the University of Kentucky. The disease is most common in dairy cows, and is extremely costly, as the milk production is severely inhibited. In some cases mastitis can prove fatal. For these reasons, your cows must be closely monitored, with preventative measures taken to safeguard them. The udder is most susceptible to infection at the beginning and end of the dry period. These are the times before and after the cow’s teat is blocked by a keratin seal, which is their body’s self-defence system against bacterial infection. An intramammary antibiotic can help eliminate existing infections and prevent any new ones from developing in the first few weeks. Note: The effect of this treatment will not last the duration of the dry period. In line with the planning stage discussed earlier, you should have closely monitored the vital statistics of your cows and put a plan in place with your vet for dry period treatment. Using the most recently taken measurements of your cattle, re-consult with your vet and review each cow’s treatment plan, adapting to any changes in health. You will need to reduce the amount of milk yield to less than 15kg. This can be accomplished by reducing the amount of concentrates, energy, and protein in your cattle’s feed, and using more fibrous roughage. You do not need to phase out milking routines as these can be stopped abruptly without any problems. Milking near to the drying season can make your cattle more prone to udder infection. Provide a clean, disinfected environment for treatments to be applied, as well as dry and comfortable bedding for rest. This will also help to avoid any infections. Pay extra attention to the ration given to your cows during the dry period, as it needs to be well balanced during a crucial time in their lactation cycle. Feed them a ration that will provide them with a healthy mixture of energy, protein, minerals, and vitamins, so that they can keep a healthy BCS and immune system. Taking care of your herd’s health and wellbeing is a key factor in attaining peak milk yield. If your cows are calm, happy, and in excellent health, you will have the best chance of reaching your targets. Below are a number of considerations that you should take into account when moving, housing, and caring for your cattle. Maintain a regular feeding and milking schedule. Cows are creatures of habit, and a rigid schedule will help them to feel more relaxed and at ease. Obviously, you will need to alter the cow’s milking schedule during dry seasons. Treat your herd with care and respect. Cows are nervous animals and scolding or striking them will only make them feel stressed, which in turn can have negative consequences for milk production. When moving the herd during milking, never drive them to a faster gait than a comfortable walk. This will keep the herd’s stress levels low, and also help to avoid physical injury. When you need to house your stock in a shed or barn, make sure there is enough room for each animal to feel comfortable and secure, as overcrowding can cause social stress, especially for cows new to the herd. Make sure there is sufficient room in cattle stores for your cows to lie down, because if they are forced to stand for long periods of time they could develop laminitis in their hooves. This can occur when cows stand up for too long on a hard surface, such as the concrete floor of a shed or barn. Look out for lesions on the body of your cattle which could be a sign of inadequate bedding in their stalls. The recommended depth of bedding is 1.25cm, but this may need to be increased depending on the size and weight of your cattle. Many experts share the opinion that sand is the best bedding choice as it conforms to the cow’s body, alleviating pressure points and spreading weight distribution. Sand is also quite a hygienic choice of bedding, and will reduce the levels of bacteria growth in the stall. Invest in a cow satisfaction brush. 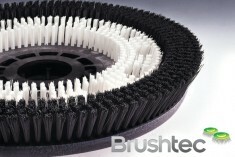 At Brushtec, we have developed a brushing system that uses innovative technology to increase blood circulation and feed intake, while keeping the cows clean, busy, and calm. 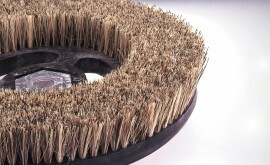 The health and hygiene benefits of the brush can contribute to an increased milk yield: tests have shown a 3.5% increase in cows that had used the brush. They also help to prevent clinical mastitis by encouraging the cow to spend less time on the ground, and encouraging cleaner skin and better grooming habits. 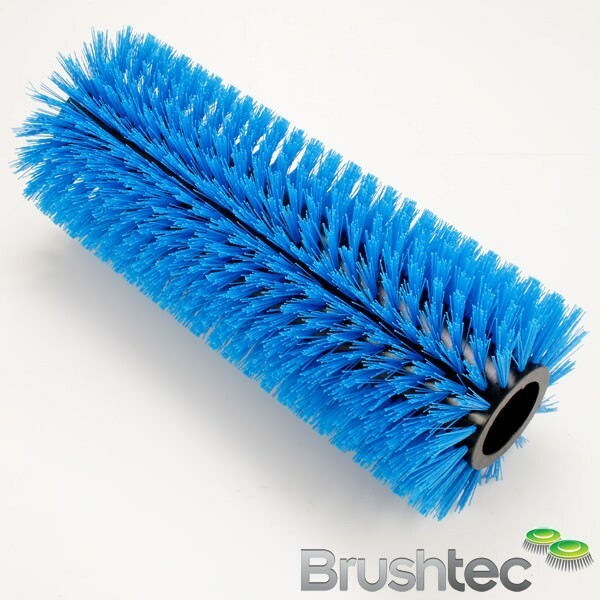 Our brushes are designed to mount onto structural elements and applied at cattle height to clean and massage the skin of the animal with a specially designed cow-friendly brush. 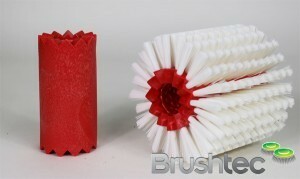 In addition, the pleasant feel of the brush encourages the cow to favour it over leaning against walls or other surfaces that could cause injury. Give your cows names and treat them as individuals. It might sound farfetched, but a 2012 study by scientists at Newcastle University has shown that displaying a personal touch with your cattle can increase individual milk yield by almost 284 litres a year. 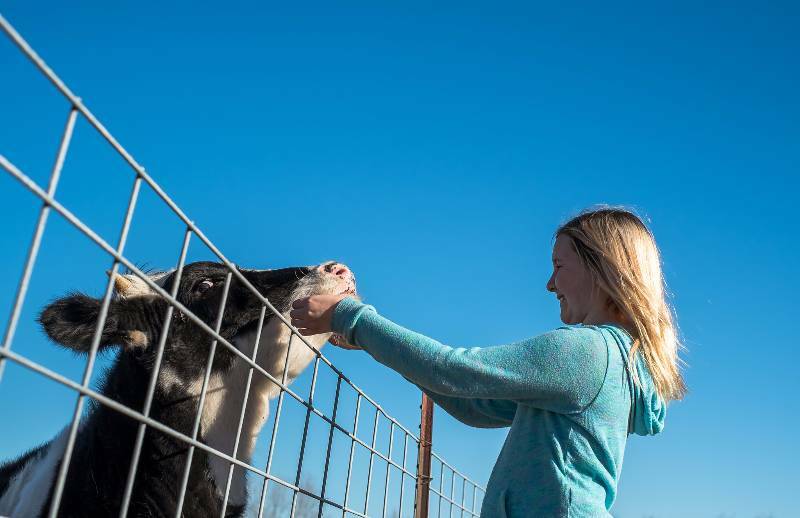 The same study found that approaching a cow in a nice manner and making frequent visits during the rearing period can also have a positive effect. Try to limit the time that cows are kept in holding areas. Cows spend most of the time in holding on their feet, which is something that you should try and keep to a minimum. Ensure your barn or shed has good ventilation to reduce humidity and heat. Signs of poor ventilation include: condensation, cobwebs, the smell of ammonia, coughing cows, and cows breathing with their mouths open. 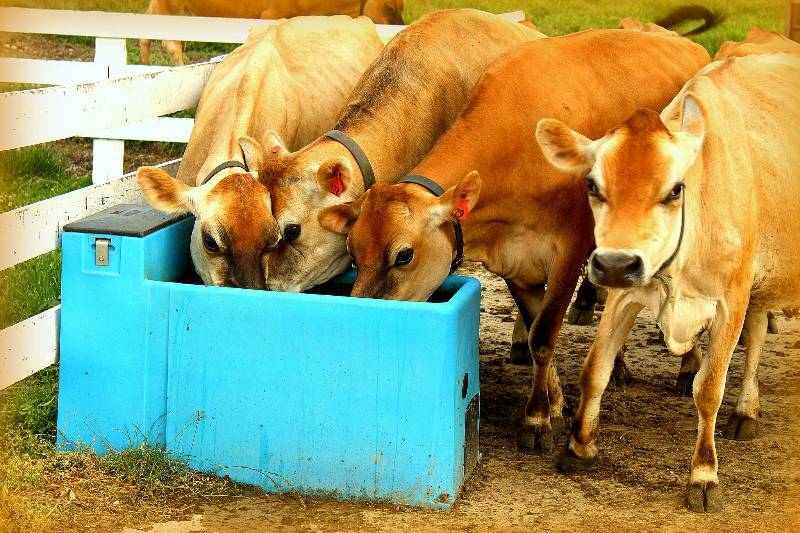 Make sure that your cows always have a ready source of pure water to drink to stay hydrated and to prevent overheating. Prevent isolation situations where cows are separated from their usual herd mates. Make sure the cows’ nutritional needs are being met. If you followed the advice from the planning and nutrition sections of this guide, your cattle should be eating all of the essential nutrients they need for good-quality milk production. Make sure that your cows have access to plenty of water, as it makes up 87% of milk and they need to drink a lot of it to stay healthy and productive. Practise good hygiene when you milk your cows. Brush your cow’s udders carefully before beginning to milk and use equipment that has been thoroughly cleaned to avoid any bacteria making its way into your fresh milk. If you don’t already, you should use specialised pre- and post-milking disinfectants, which are available in dip and spray format. Carry out any cleaning that might stir up dust in your barn or shed well in advance of milking your cows, as having dust in the air makes it easier for germs to fall into your milk. Additionally, work like pitching hay or arranging bedding should be done either after or long before milking time. Store your milk in a hygienic location, away from anywhere that might be rife with bacteria. Milk will very quickly absorb impurities, so it is important to quickly transport it to a clean storage area. Although it may sound counter-productive, when you are trying to increase your milk yield you should discard the first few streams from each of your cow’s teats. This is the milk that has been exposed to air and will contain the most germs. The amount you discard should not amount to that much, and it will prevent germs from spreading to your best milk. Closely monitor milk quality and the milking condition of your herd. Before each milking, examine the product from each cow before you milk them, separating any abnormal milk or milk from cows showing signs of udder disease. Keep track of any cows that produce milk unfit for human consumption to ensure that no errors are made in your operation. If you follow the advice in this guide, you will be at a great advantage when it comes to increasing the milk yield from your cattle. In the UK’s difficult dairy industry, being able to maximise your production will assist you in offsetting the low prices paid for milk and help you to sustain a profitable level of business from your farm. With more people becoming aware of the dairy crisis and more pressure being exerted on supermarkets and dairy processors to provide better remuneration, the future is looking brighter for the country’s dairy farmers. By perfecting your practice and increasing your yield now, you can look forward to even more profitability when the price of milk begins to rise.